Hey Everyone! Andrea here and wishing everyone a very wonderful Saturday! Well if it is Saturday it must be Free Digital Scrapbooking Paper Pack Day! 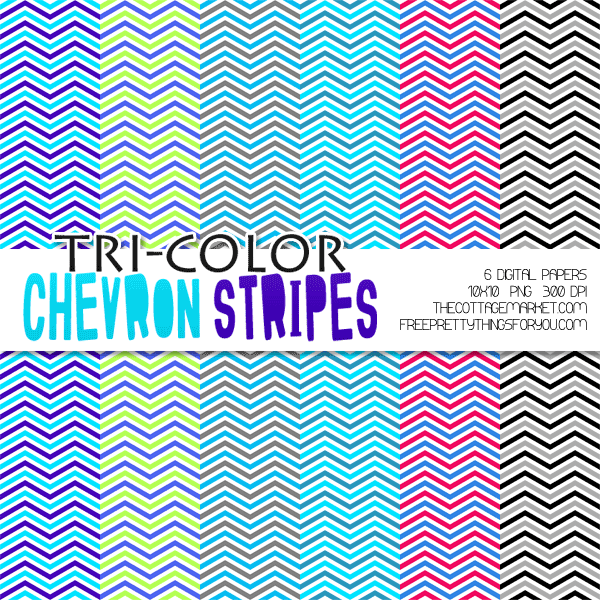 Yep…This week its some fun Tri-Color Chevron Stripes Pack and we sure hope you enjoy it. We have 12 different colors for you…you will find a the first part over at The Cottage Market and the second part right here at FPTFY! This is a set of papers that you will have tons of fun with…it will add pizzaz to just about any project. 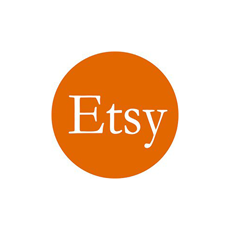 Adorable for any craft… invitations … scrapbooking and so much more. These are fun and fabulous and we sure hope you enjoy them and use them over and over again. Click HERE to directly download the above set..
and to download the set below, hop on over to my place! 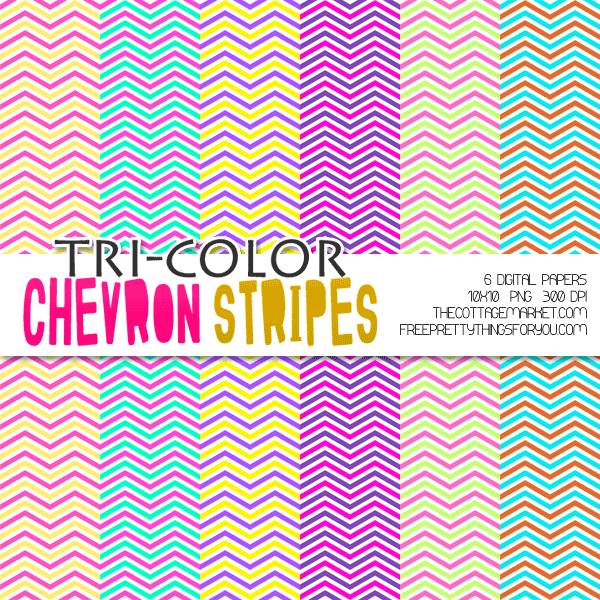 Don’t forget to check out our other digital paper packs. We are going to continue to help you grow your collection and we will see you back here next Saturday for more Digital Paper Pack FUN! You can use these pretties for anything you would like…the only thing we ask is not to sell them as a digital pack…we are giving them to everyone so we don’t want anyone to have to pay for them : ) They are fabulous for scrapbooking, card making, paper crafting, web designs, creating banners, crafts, invitations and about a million other things! As long as you keep loving them…we will keep making them for you! So check back each week for your new pack! Collect them all. Enjoy Your Free Glitter Digital Scrapbooking Paper Pack! Make sure to get both sets!!!! Create and ENJOY! « Hello Doll Free 2 inch printable circles with Chouxchoux Paper Art!